The Salem Express is arguably one of the most controversial wreck dives in the Red Sea due to the tragic loss of life which occurred when it sank shortly after midnight on December 15th 1991. Originally built in the French shipyards of La Seyne in 1964, the ship was launched under the name of Fred Scamaroni in 1966 and was a roll-on/roll-off ferry for vehicles and passengers. In the following years, the name of the ship was changed several times to become the Salem Express in 1988. 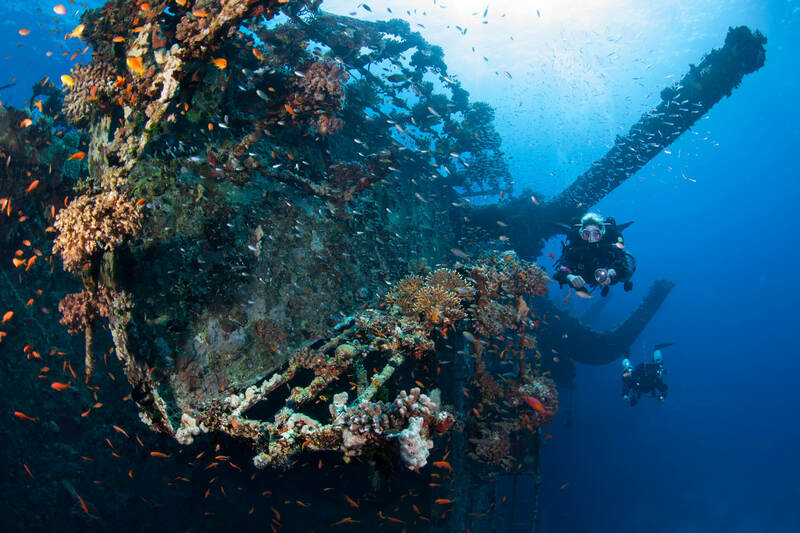 Exploring this wreck is a unique experience which inevitably plunges you into a special atmosphere. 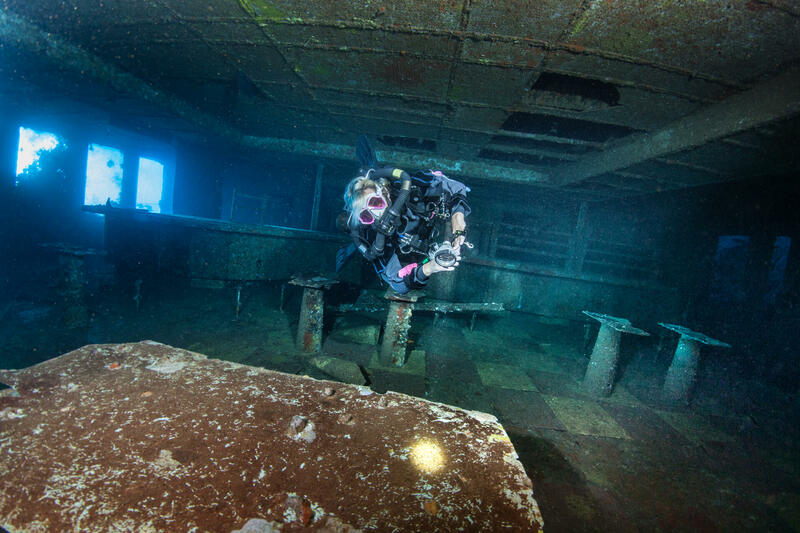 With this being said, divers should approach this dive with the same respect as one would have when diving a war grave wreck or when visiting a cemetery. The wreck of the Salem Express lies on its starboard side in 32 meters of water. Its port side is just 10 meters from the surface. Ideal for mooring boats! 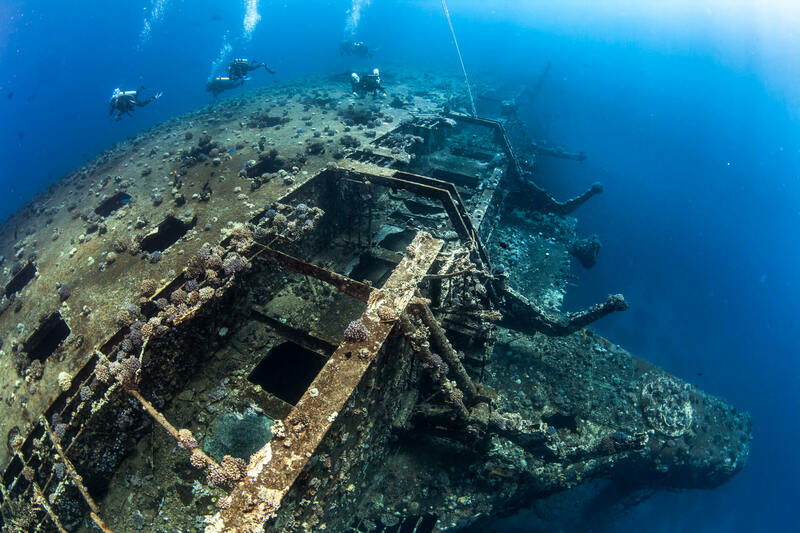 As many wrecks in the Red Sea, there are lots of opportunities to explore this large structure. Ship’s lifeboats can be seen lying next to the ship on the bottom. The ship’s stern and views of the rudder are absolutely stunning! The Samatour Company logo (large wreaths with an ‘”S” in the middle) can still be seen on the funnels. At the bow, the ship’s anchors are still in position and the bow door, which allowed water into the car deck, is still in the open position. The port side of the vessel, which is facing the surface, has many windows and ports looking into individual cabins, and the companionway runs along the main deck from fore to aft complete with handrails. 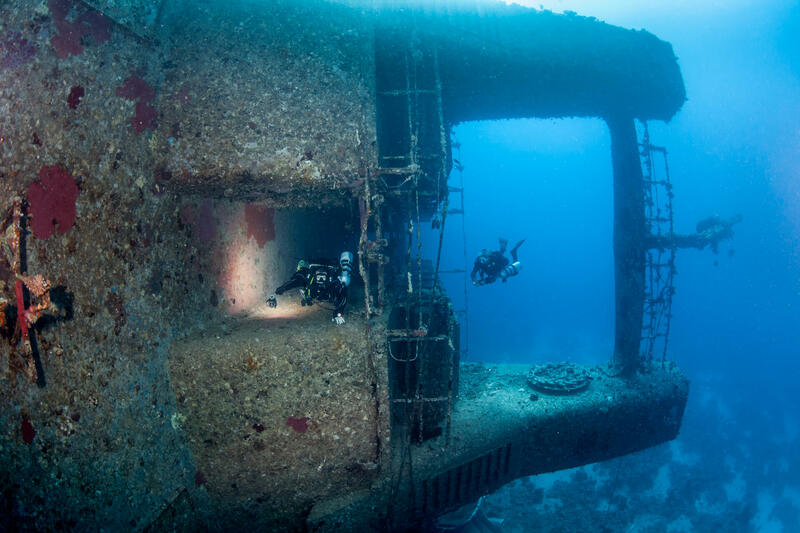 Penetration dives can be made on this wreck. However divers must have the proper level of dive certification. There are three main corridors within the vessel which, side by side, run from one end of the ship to the other. All three corridors lead to a large stern compartment where an Isuzu truck, wheel barrows, bails of cloth and dozens of other personal effects lie heaped by gravity on the starboard side.